I am a snob. No, it’s okay, it is true. And the first step to recovery is admitting you have a problem. I’ve known I was a bit snobby about certain things for some time, but it was brought home to me yesterday while having a conversation with my “go to” motorcycle buddy, Matt. Oh yeah, Matt’s a snob too! (Sorry Matt, accept the truth and move on!). Matt and I were discussing my interest in purchasing a second motorcycle to go along with my Street Triple. More specifically, I would like to add a bike that is travel and adverse weather friendly. There is a possibility that I will be doing a lot of commuting soon and I would much rather do it on two wheels when I can. It seems like a simple problem, but I have a lot of personal parameters that have to be met. I do not want a large bike. 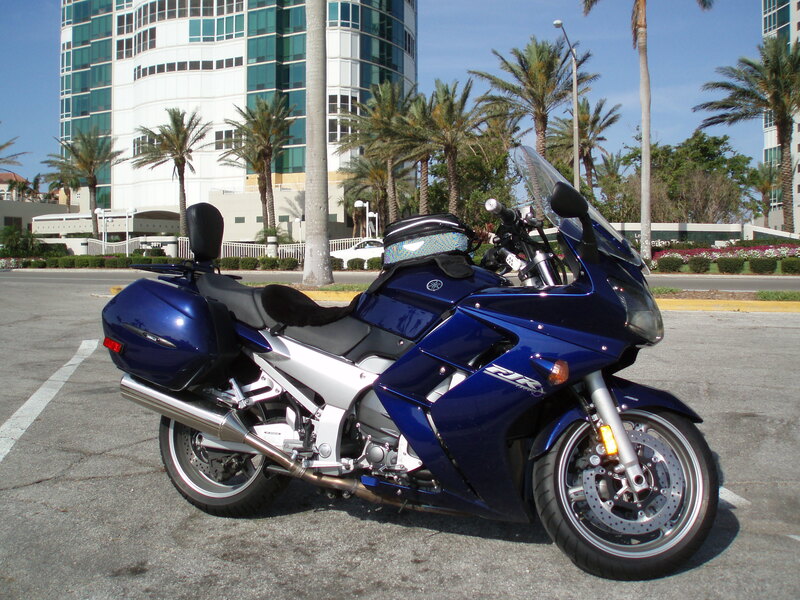 I have already owned a Gold Wing, BWM RTs, GSs and an FJR. Sure, they travel well, but in my snobbish opinion, they are pigs! Keep in mind that I am only 5’5″ and weigh about 160. The other problem I have, and the one that really spotlights my snobbery, is the fact that I have only owned 2 non-European bikes in the past 15 years. I had an FJR for about 10 months and 10,000 miles that just could not grab my soul, and I owned a Yamaha WR250X, a 25 hp super motard that was a hoot. Extenuating circumstances forced the sale of the WR, but it would be welcome in my garage any time. Now you can see that the problem is a bit more complex. 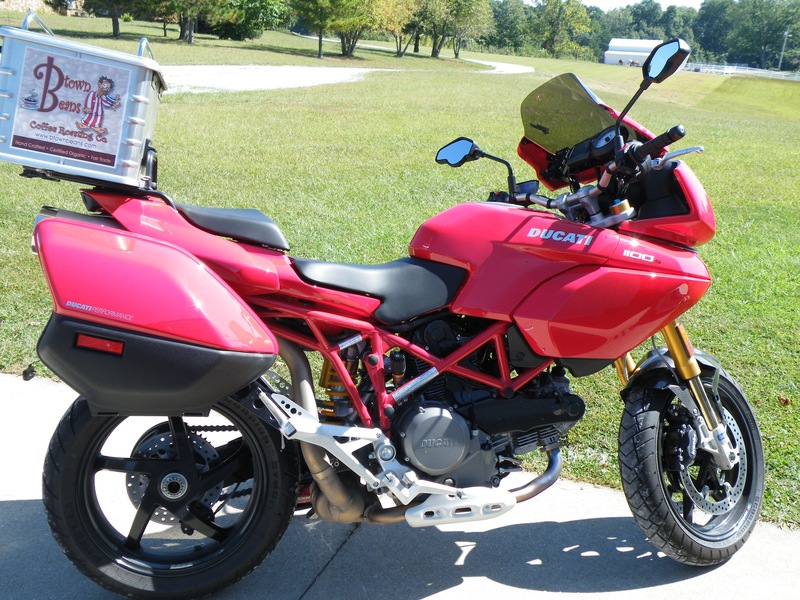 Matt’s first suggestion was a Ducati ST3, a bike I have lusted for over the years but never owned. As for new bikes, the only two on my radar are a Ducati Multistrada or a KTM SMT. However, I’m thinking what I really need is an inexpensive, reliable, practical pack mule of a machine that I won’t mind getting winter grunge on. One that can take me where I want to go without any drama, and if there is drama, it won’t upset me too much. 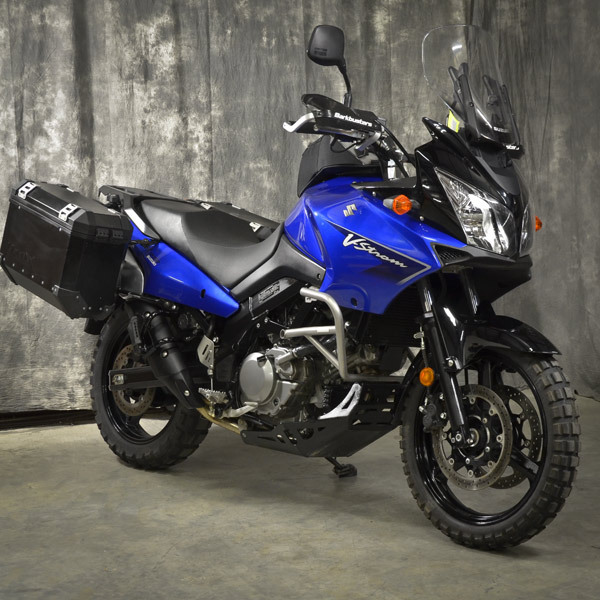 What I need (thanks to Matt’s suggestion) is a Suzuki DL650 Vstrom…one of the most vanilla flavored, boring, ugly bikes I can think of! The Vstrom fits the bill perfectly. They can be had cheap, they operate cheap and they are ugly to start with, so who cares if it is covered with salt and road grime? The problem is…I’m a snob. I turn my nose at the VStrom. 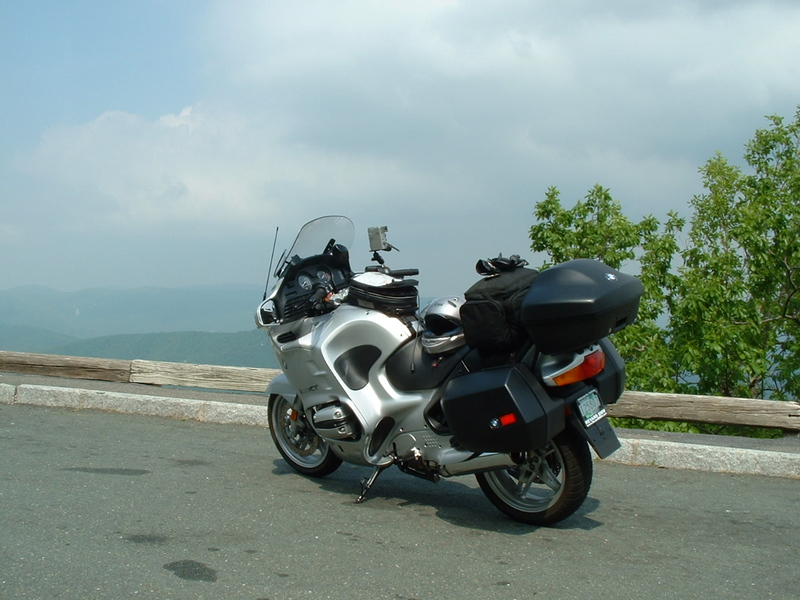 After all, I have owned the “might BMW GS,” twice! 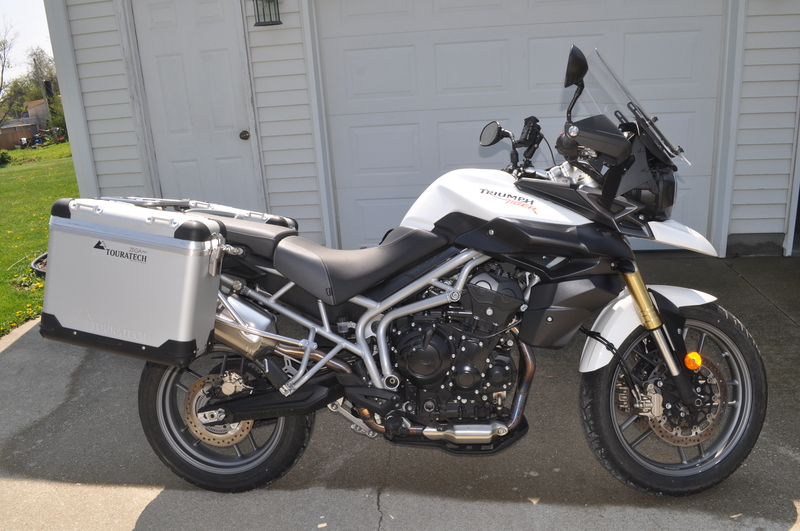 I have owned a Tiger 800, outfitted with Touratech luggage. The VStrom is like buying Spam after having Boar’s Head. Here is the sad truth; it is probably the perfect choice…but I don’t know if I can bring myself to ride one! I’m not just a motorcycle snob either. I’m a beer snob too. Bud, Miller, etc? No way. Well, maybe if you are buying! Otherwise, I’m a micro brew sort of guy. I hang out at the Holy Grale in Louisville where I gladly pay $6-7 for a glass of unique microbrew. What’s in my Fridge now? Upland Octoberfest, Green Flash, BBC, West 6th, Tin Man, Three Floyds. And then there is coffee. I have been roasting since about 2002. I have purchased very little coffee during that time from other places. When I do, it is only from a microroaster. If I have to drink something else, I will…but I won’t like it…because I’m a snob! I know what you are thinking: “specialty coffee is too expensive.” Well, it’s all a matter of perspective. How much do you pay for a bottle of water? C’mon, I know you buy them. $1.00 or more? So, let’s assume you pay $15 for a pound of coffee. Let’s say you only get 25 cups from that pound (some of you get a lot more). That’s only .60 a cup! And we are talking the finest coffees in the world, roasted by people who are true craftsmen (and women!). It is like comparing Godiva chocolate to the year old bag of off-brand bridge mix at the Dollar General. I mean, sure they are both chocolate (I think! ), but they are world’s apart. You only live once man. Enjoy it. Yes, I am a snob. I’m snobby about bikes, snobby about beer and snobby about coffee. The beer and the coffee will likely never change. I would like to do something about the bikes though. When I went to Asheville for a week in September do you know what bike I saw more than any other? No, it wasn’t a Harley. It was a VStrom. They were everywhere. 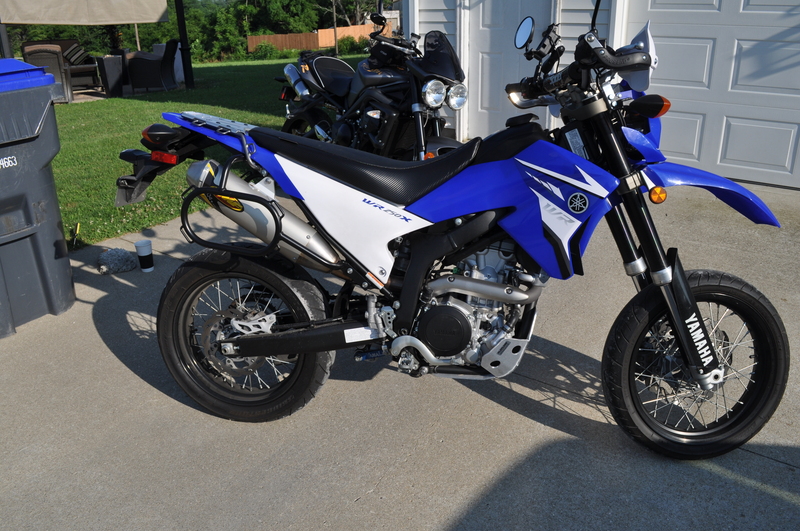 Maybe I should take the first step and put a Vstrom in my garage this winter. Stay tuned…but don’t hold your breath! I think we may have the same taste in motorbikes. 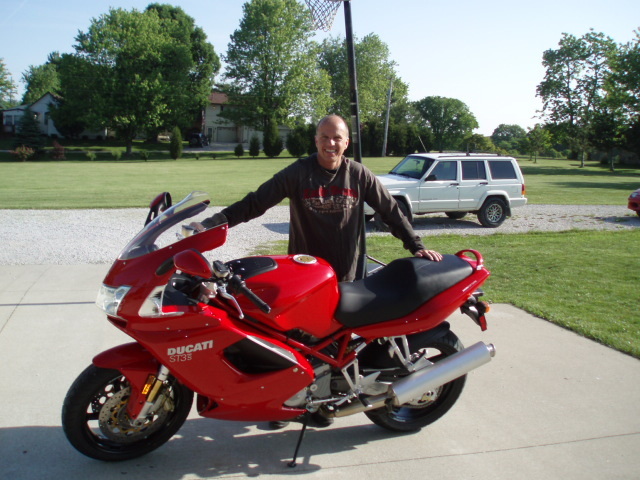 I’ve been following your blog for a while (since you lived in btown and had that killer Tiger 800) and enjoy your post. In fact I made a visit to The Holy Grale solely based on one of your post. The place did not disappoint. In regards to your last post about the Vstrom, I couldn’t agree more. They are ugly and plain and boringly reliable. If you are ever back in Btown you are welcome to take mine for a spin. It is the DL1000 though and not the 650. I’ve had for 5 years and am fixing to sell it…to buy a Speed Triple. See we do have the same taste in bikes! Hey Ryan. I did have a nice Tiger, didn’t I? Maybe I should just buy another one of those! Glad you follow and glad you enjoyed the Grale. Let me know the next time you are in the area and the beer is on me. Those Triumph Triples are one of my favorite power plants. I’m the fellow up in Btown that contacted you a while back about wanting to get together and have a beer, chat motos, coffee and such. Still would like to do that sometime but in the mean time I had a quick favor/question. I’m heading to Asheville in the early spring. I’ve heard lots of good things, some of which from your blog, and wandered about good places to stay, have a beer and a good cup of coffee. I’m traveling with one other fellow. 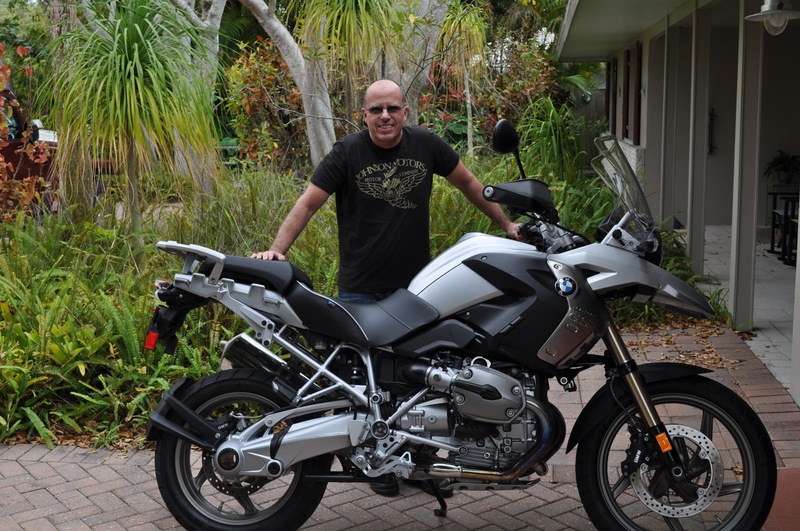 Both of us will be on F800GS which handle about any road nicely. Any advice on the above and any road advice would be fantastic. Next time your in Btown shoot me a message. I’ll buy ya a beer. I’d love to bend your ear about second careers (coffee oriented) and that scrambler you got your paws on. We ride bikes to have fun, they are not practical, they are for enjoyment. Buy the one you will enjoy the most, part of the pleasure is looking at it in the Garage on a snowy evening (sounds like a line from R. Frost). I am also a snob, but I like what I like and don’t have to justify it to anyone. I eat Parmigano-Reggiano not Kraft, I like Blue dog Bread not Wonder, I don’t have to justify why I prefer it I value the difference. Well said. I come from a family that perfected the art of “guilt;” I think I have to justify everything! Shoot me an email at shep@motorheadcoffee.com and we can begin that conversation. I come to B-town often these days to check in on my mother. I’d love to hook up and chat.